"Victor Babes" Private Medical Clinic provides to anyone, regardless of age and occupation, general and specialized clinical examinations, general and specialized laboratory investigations in order to prevent diseases, promote health, provide etiological diagnosis and appropriate therapeutic conduct. Starting today, we want you to hurt no more ! Your health is our goal ! "Victor Babes" Private Medical Clinic offers the opportunity for monitoring, maintaining and improving your own health and, thus, the quality of your life and of the life of your loved ones. Primary health care, specifically to support healthy individuals who want to continue to stay healthy. Starting from this principle, "Victor Babes" Private Medical Clinic has initiated several programs for prevention, mainly through personalized health plans established with the advice of the personal treating physician and tailored to each person's need. The goal of the medical services provided by "Victor Babes" Private Medical Clinic is obtaining an accurate early diagnostic, initiating the most specific treatment possible, addressing the patient's medical problems to their complete resolution, providing maximum comfort for improving the patient's quality of life. From the entrance in "Victor Babes" Private Medical Clinic, a highly competent and professional team welcomes you, from front the desk personnel to the health professionals, members of Academia and top level specialists. The quality of the health services heavily depends on the quality of the staff. The "Victor Babes" Private Medical Clinic team, with good theoretical and practical professional competence, practical experience and good management, is the warranty of a good quality of services. Thus, a school that will promote innovative ideas in the field of private medicine in Romania is created, with a patient-centered approach and orientation towards preventive medicine. Consultations in all medical specialties; in addition to the 48 doctors who provide health services daily in the center, about 100 physicians are constantly collaborating with "Victor Babes" Private Medical Clinic. A modern Laboratory, where highly accurate tests can be performed, connected to a fast and precise electronic data transmission for quick diagnosis. Medical Imaging department utilizes the latest technology with low radiation level according to international standards, allowing a wide range of examinations. Dental department offers prevention, diagnosis and treatment of mouth diseases through the following specialties : endodontics, aesthetic dentistry, periodontics, preventive dental prosthetics, dental alveolar surgery, and pedodontics. Hospital care has received special attention in the development of the medical structure, and the new Departments come in addition to the hospital medical services offered. Thus, in the building of the new General Hospital there is a Medical Specialties Department and a surgical specialty department with 85 beds. Department of Medical Specialties - Internal Medicine, Cardiology, Gastroenterology, Neurology, Psychiatry, Endocrinology, Nephrology, Clinical Allergology & Immunology - comprises 40 beds and the Department of Surgical Specialties - General Surgery, Urology, Vascular Surgery, Gynecology, Otolaryngology, includes 25 beds. Of these, 11 are dedicated to Anesthesia and Intensive Care. For day hospitalization in Medical Specialties there are 10 beds, and for day hospitalization in Surgical Specialties there are 10 beds. Inpatient rooms provide comfort, hygiene and the quickest recovery of health. In the rooms there is the possibility of internet access, TV, refrigerator, and the own sanitary group has a hydromassage shower cabin, so the patients enjoy all the comfort and well-being of the rooms. To this is added the highly specialized medical staff, who provide permanent assistance and monitoring through a very accessible announcement and reception system for patients to be promptly served, whenever they need medical staff. Medical staff, procedures and state-of-the-art technologies are made available to the patient in a pleasant environment. The qualitative value of medical services is reflected in the special hospitalization conditions that are offered. Physical rehabilitation is performed in the new fitness and rehabilitation ward, which includes sauna and massage. Physical rehabilitation is performed only on specific medical indications and under strict supervision. The highly specialized and experienced staff includes physiokineto-therapists, personal trainers, and masseurs. "Victor Babes" Clinic implemented a circuit for physical rehabilitation and maintaining of a good health status: fitness room, massage room, reflexology and sauna. The goals of physical rehabilitation are to maintain functional autonomy, preserving the independence and mobility of the patient. Training, clinical activities, medical research and education are closely linked and provide a stimulating environment for the "Victor Babes" Clinic personnel. The main areas of scientific interest are geriatrics, oncology, infectious diseases and public health. 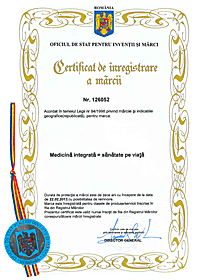 The Department of Scientific Research and Clinical Studies from "Victor Babes" Private Medical Clinic has implemented five local research programs, 19 national research programs funded through bids organized by the Ministry of Education and Research, four international programs funded by the European Union, for two of them the "Victor Babes" Private Medical Clinic being the only representative for Romania. We are faithful to our principle to permanently invest in the quality of care by encouraging continuous professional development and participation in training programs, scientific meetings and research projects. "Medicina integrata = sanatate pe viata"
"Sanatatea ta este scopul nostru"